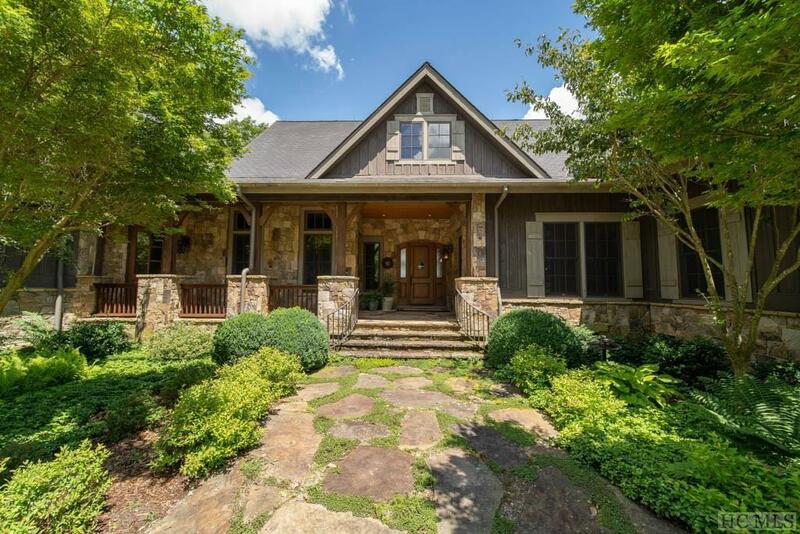 On five acres in the idyllic mountaintop community of Zachary's Gap, this stunning estate welcomes you with rich wood and stone architectural details. 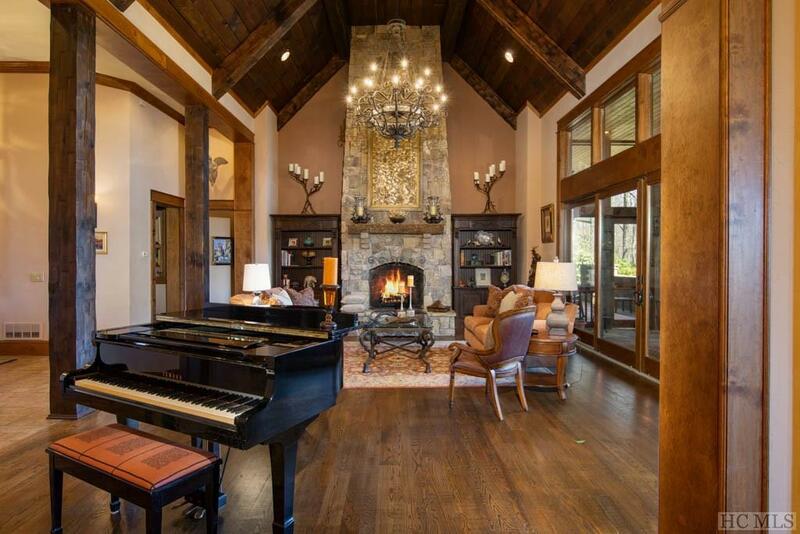 The foyer opens to the living room with a massive stone fireplace, soaring ceilings with strong timber beams and room for a grand piano, and then flows into the elegant dining room with wet bar - an inviting atmosphere for small gatherings or larger festivities. The impressive gourmet kitchen is designed for every level of culinary skill, from the casual cook to the experienced chef. 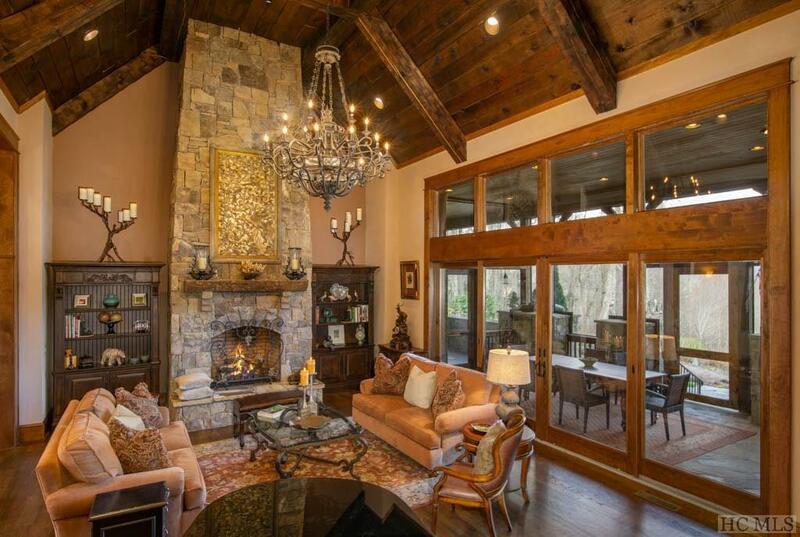 Savor the exceptional mountain views and sublime Plateau weather on the screened porch with a built-in BBQ and fireplace, or relax in the family room for an evening of cocktails and conversation. The main level also features a large master suite, private study and two additional guest suites. Upstairs in the game room, play billiards or cheer on your favorite football team for a fun afternoon with family and friends. Pet lovers will welcome the raised shower/grooming station in the laundry room. This beautifully finished custom home offers an array of living spaces for privacy, comfort and versatility. Close to the dining, shopping and country clubs of Cashiers and Sapphire, it is a must see for those seeking a refined and spacious luxury mountain estate. Listing provided courtesy of Jochen Lucke of Silver Creek Real Estate Group, Inc..